Toyota has long been a leader in alternative fuel and powertrain technologies, and the Company's long-term vision of the future is a glimpse of how it intends to keep leading. In classic Toyota style though, they are motivated not by individual vehicles they make, or will make, but by what they achieve for people. The Company believes in mobility for all, in the right way. Despite the extensive world-leading research and development going on, it's not the Toyota way to shout about things. So let's lift the lid a little on Toyota's vision for the future. The future is defined by what is call the Toyota Environmental Challenge 2050. We think it's the most ambitious and exciting vision of any car company. It's big stuff, and it affects every part of the company and the way Toyota work. It provides a road map for the future, so it's at the heart of everything they do. To go forward, though, you need to understand where it started from. For Toyota it was a vision to make alternatively powered cars acceptable and normal for people, helping to cut CO2 emissions, improve the environment and save the customer money on fuel. When the Prius was launched in 1997 that idea seemed like science fiction. Two decades on and more than four million Prius have been sold: in fact more than 10 million Toyota and Lexus petrol-electric hybrids (HVs) have been made and lots of other manufacturers have followed suit with their own hybrid-style cars. Pleasingly, Toyota is No 1 for hybrid sales in every country in Europe and is now into its fourth generation of hybrid technology. To put that in perspective, since the launch of Prius, Toyota has saved approximately 29 billion litres of petrol from being consumed, and approximately 77 million fewer tonnes of CO2 have been emitted worldwide. Pretty great stats! 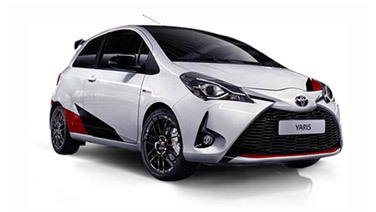 In the UK Toyota hybrid sales continue to soar, and today the green electric technology is no longer a mystery to customers. Hybrid technologies remain a core part of the Toyota vision for the future, a future which will see a multitude of powertrain options to suit customer demands and needs. With this in mind, Toyota has been working on the right plug-in hybrid (PHV) and pure electric vehicles (EV) for the future, not just focusing on what could be produced today alongside the existing hybrids and PHVs, like the recent Prius Plug-In (sales of which are more than 80,000 to date).